Jerome "Jerry" Wolff: Obituary | Cherokee Co N.C.
Jerome “Jerry” Wolff, 75, of Murphy, NC, relocated to a very upscale neighborhood on Thursday, January 31, 2019 after a struggle with cancer. He left this world with his cat in his lap and his wife’s hand in his. His father, Kenneth, and his mother, Virginia, a/k/a Saint Jenny, arrived before him. Jerry is looking forward to meeting his wife, Kimberly; his children, Michelle (James) Diltz of Marysville, CA, and David Wolff of Merritt Island, FL; his grandchildren, Michael, Kyle and Roxanna; and five great-grandchildren upon their arrival. He’s also paving the way for his four siblings: Ken (Doris) Wolff, Cathy (Gerry) Oesterreich, Jim (Nikki) Wolff, all of Lake Mills, WI, and JoAnn (Tom) Busse of West Bend, WI. It’ll be up to them to prepare the way for their numerous children and grandchildren. Jerry grew up in Lake Mills, WI and worked throughout his high school years at the Pyramid Café. Upon graduating, he turned down a college scholarship to join the Air Force. During his 20 years of service, he visited 18 different countries. In England, he heard the Beatles perform when they were nothing more than a pub’s house band. While stateside, he married the mother of his two children, Christina. Upon finishing his military career, he returned to Lake Mills to be director of public works. After two years of living in the frozen tundra, they moved to sunny Florida, where they later divorced. In 1991, while employed as service and construction manager in mobile home retirement communities, he met the love of his life, Kimberly, and they married in 1993. Having no children of their own, he played the role of second dad and Santa Claus to his two Florida nieces, Kristina and Andrea Post. Upon his second retirement at age 62, they moved to Murphy, NC, where he participated in building his wife’s dream home and was a part of the early years of Mountainview Church. His hobbies were having coffee with his buddies at the Daily Grind and catering to his wife’s every whim. He was an avid Green Bay Packer fan and a crossword puzzle buff. His love was his home, his family, the mountains, his cat and his wife, not necessarily in that order. Everyone blessed enough to know Jerry will miss his sense of humor, quick wit, cooking skills, compassion and patience. 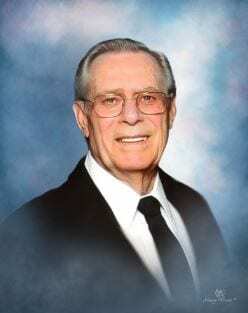 A celebration of his life will be held at Mountainview Church, 69 Falls Branch Road, Murphy, NC, at 10:00 a.m. on Saturday, February 23, 2019, with a private graveside military ceremony following at the Ranger United Methodist Church Cemetery in Murphy. In lieu of flowers, please make donations to Mountainview Church, missions or youth ministry, 69 Falls Branch Road, Murphy, NC 28906.